Gastro Cup Serbia is an international cooking competition held during the fair LORIST in Novi Sad. The competition is organized to the satisfaction of everyone for the second time. 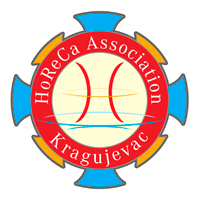 The organizers of the competition are the AD Novi Sad Fair, the Green Valley Association, the Horeca Association Kragujevac. The organization of the competition is aimed at promoting and popularizing the cuisine in Serbia and the region and will be held from October 4th to October 7th, 2018 in Novi Sad. The Gastro Cup Serbia represents the senior part of the competition, which will be held on October 6th and 7th. Guided by the fact that almost all countries in the region have massive competitions where cooks, chefs of the kitchen, young businessmens in the field of catering and all other various guests and observers come together, we came to the idea of ​​organizing such a manifestation in Novi Sad, a city that certainly has the greatest potential for such a form of competition. Novi Sad, in all aspects, deserves to host one such gathering. Geographical position, multi-ethnicity, festival tradition, one of the best hospitality high schools, are all preconditions for hosting one serious competition. All this perspective was also recognized by the management of AD Novi Sad Fair, which organizes competition of secondary and higher schools, which is an excellent overture and basics that would definitely be rounded up with a senior competition. The great international experience of our older competitors, culinary associations at the domestic and international level, who would take part in our competition, would create the conditions for future caterers to get to know all the advantages and difficulties encountered in this industry. During this event, our senior competitors will have the opportunity to exchange their experiences with colleagues, promote their catering facilities and gain new knowledge in order to raise the level of economic activity in the city of Novi Sad, the Republic of Serbia and in the countries of the region, Europe and the world. Also, businessmen – caterers will have the opportunity to get to know the greatest talents coming from secondary and higher catering schools. 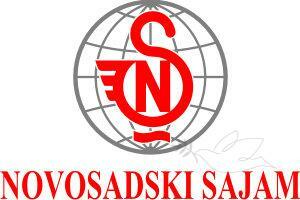 Space itself in which this competition will be held – the Novi Sad Fair, initially gives a great capacity. Green Valley Association ,is an organization that, in its goals, primarily has a struggle for a healthy and clean Serbia. The past activities of this organization have been focused not only on protecting the environment and informing the citizens of Serbia on this topic, but also on a wide range of activities in the field of development of youth entrepreneurship and entrepreneurship in general, promotion of healthy lifestyles in both urban and rural areas. Considering that the LORIST fair is visited by more than 40 thousand people, GASTRO CUP SERBIA has a great deal of potential which in the year 2017 has proven. The program of the festival is intended to cover a wide range of interests. Our idea is to gather a large number of realized businessmen of caterers from the country, region and Europe to gathered during the event, which in the year 2017 infact happened. This type of festival – competition exists in almost all countries of Europe, and our international team of judges will ensure that the competition runs in a fair atmosphere. Given that everything will take place during the LORIST fair in Novi Sad from October 4th to October 7th, and our senior part of the competition on October 6th and 7th, our realized businessmen will have a great opportunity to promote their catering facilities and their specific offers in order to future visitors and tourists of Novi Sad will know what new things they can see and taste. We are also particularly pleased at the possibility that the accomplished businessmen, as well as the chiefs of kitchens of the famous restaurants and hotels, will be introduced to young talents who will compete in the junior part of the festival, organized by the fair on the 4th and 5th of October, thus creating the idea of partnership. The employment of young talent and young people in Serbia is in general a priority, and in this way, through the mutual socializing and interaction on the theme that is shared by all participants in the profession will certainly create the possibility that some of the young competitors will find a future employer. Also, these young people will have the opportunity to learn new techniques of preparation or as they say in the culinary world: the small secrets of the great masters. Lectures that will be held during the duration of the competition and which are conceived as a conference of master chefs are of great importance not only for themselves, as discussions will be held on various topics from the world of gastronomy, as well as for young contestants who will learn a lot of the new things. This festival- competition would be networked with other festivals of this type in Europe through its competitors, so everything must be organized and implemented at the highest level that the city of Novi Sad deserves and, in relation to last year’s event, elevate it to a higher level in both organizational and competitive terms.. It is clear that there is a huge potential in this area, because the culinary arts are an inexhaustible source of ideas, in which there are no limits.